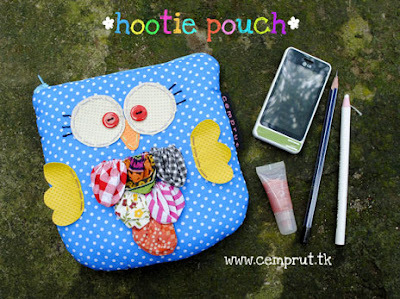 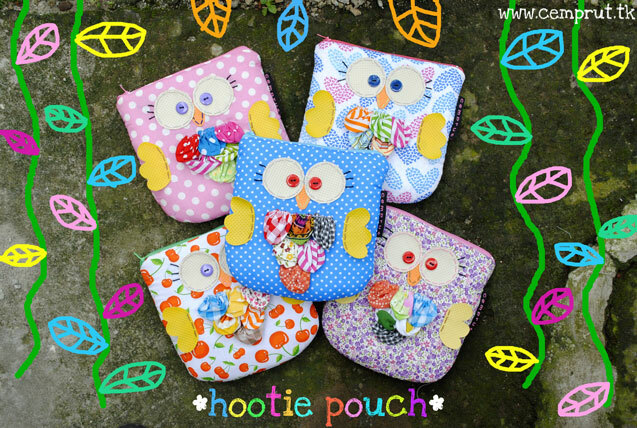 c e m p r u t: the hootie pouch...!!! made by colorfull cotton fabric, there's a soft foam inside. application from faux leather and fabric yo-yo's.